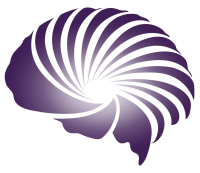 What makes executive coaching different from coaching with the general population? What different approaches are useful or necessary when coaching executives? To answer those questions it is essential to consider how executive coaching differs from that provided to others seeking coaching. Executives spend most of their working lives leading and managing others. Generally, executives have advanced people skills, extraordinary levels of patience with others, and much higher than average resilience to life’s problems. Typically, too, they have much higher levels of self-control, and tend to take a more self-responsible view of life. In terms of intellect, executives are generally better educated than the rest of the population, more knowledgeable, and crucially and normally, much more articulate. They operate, skillfully, in a highly complex and fast moving political environment. That collection of factors has implications for the different approaches required for successful executive coaching. When someone in the general population requires or wants coaching, the coach, or the person taking that role does not need to consider the factors that are necessary for effective coaching of leaders. Here are some of the key differences between life coaching and executive coaching. For any coach to be credible with an executive seeking coaching, s/he, the coach, needs to be highly educated. There is a view that unless the executive coach is better educated than the executive that credibility will be harder to earn. Again, on the executive coach credibility requirement, it is difficult to imagine an executive being comfortable with an executive coach who is not at least as articulate, if not more articulate than the executive. Since executives have such advanced people skills, it is unlikely that an executive would feel that someone whose people skills were inferior to their own could possibly understand the nuance and subtlety that they have to engage in on a daily basis (and all the stresses that come with and from that). It is unlikely that an executive coach lacking in executive experience would be credible. For many people in need of coaching, the coach spends much time persuading with the client to do what the client already knows s/he needs to do in order to address his/her challenge. By contrast, executives are already highly self-responsible. Treating an executive in the same way as a member of the general population is likely to lead to resentment and the break-down of the coaching relationship. When highly self-responsible people want to achieve at an even higher level, through leadership coaching, other less obvious factors are usually involved. The nuances and vagaries of the complex political environment in which executives operate is a mystery to most. It is unlikely that an executive seeking coaching would have much regard for an executive coach who had never experienced senior level executive life, and thus would have little insight into the political dynamics therein. If you want to achieve better results, using coaching as the tool, it may be wise to check during the first contact you make with a potential executive coach whether or not they are equipped to deal with the different demands made by executive coaching. There are many coaches, few with experience of executive life, and very, very few who have developed original techniques that will give you an edge over your competitors. 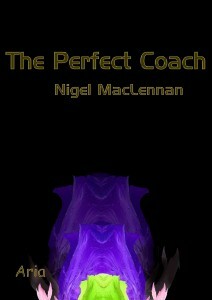 If you wish to make an executive coaching appointment with Prof Nigel MacLennan, please use the contact us page.